It turns out the leaked next generation iPhone's transparent casing may be meant for more than just revamped eye candy and to allow the passing of all those radio signals. What about helping combat battery drain? 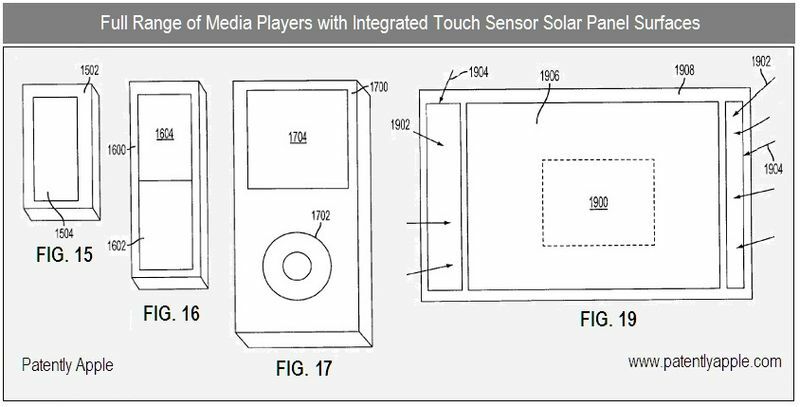 It appears Apple may attempt to harness solar power to help slow the effects of more powerful iPhones, iPods, and iPads and still keep them as thin as possible. 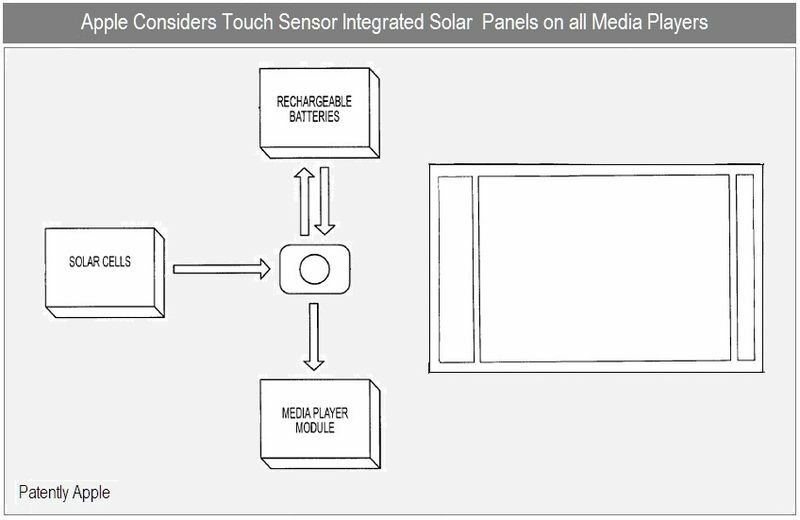 A newer patent by Apple shows the use of solar panels and related technology that could be placed directly behind the touch screen, but others speculate that with the new more clear casing, it could also be placed on the backside of iDevices. Maybe this design will be a new trend across all of the iDevice line replacing the aluminum and sleek plastic look? The patent shows that the solar cells can charge the onboard battery and the device can be powered by the battery or the solar cells, likely depending on the amount of consumption and how sunny it is. It also seems that it could simply charge the battery when your iDevice is in sleep state and in gets some UV attention.